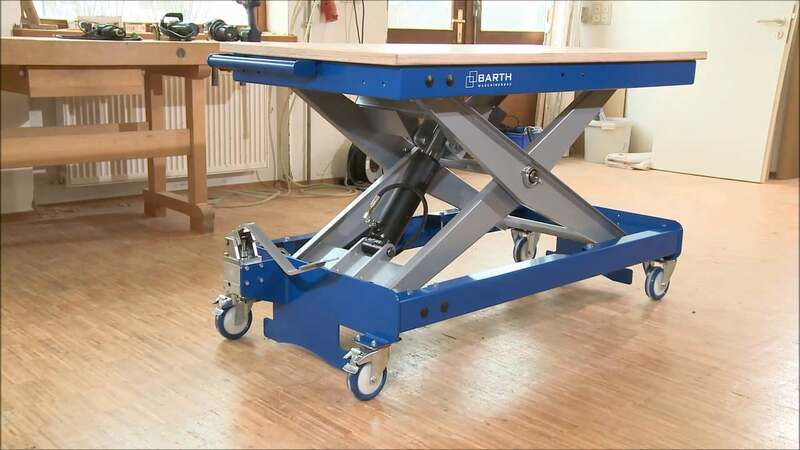 This hydraulic lift table table features 3 vacuum clamping points mounted on bearings that can swivel, and be adjusted in height individually - giving this table convenience other work stations cannot match. It's called vakuuLIFT for good reason- the vacuum clamping pads are gentle enough to grip even glass without any scratching or damage, yet strong enough to handle solid wood doors or casegoods. This adds sliding extensions to the table surface on both sides of the lift table worktop. The sliding rails extend to a max of 550mm per side. This adds sliding extensions to the table surface on both sides of the lift table worktop. The sliding rails extend to a max of 550mm per side. This option is for Lift Tables which also have the HPL worktop option. The 500V is a heavy-duty lifting table equipped with a robust vacuum clamping system. The table will raise and lower at high speed for loads up to 170 kg (370 lbs), and automatically selects heavy stroke lifting for loads up to 500 kg (1200 lbs). The table height is easily adjusted via a smooth-running hydraulic foot pump. With the 500V vakuuLIFT, you can work while sparing your back the constant lifting and bending work on a traditional table would require by using the hydraulic lift to move your material, and vacuum clamp your work piece at any angle and height which is comfortable for you. Each of the flat vacuum cups is individually adjustable in height, and can be swiveled through 90°.